The University has been really supportive when it comes to ensuring we are ready for placements. 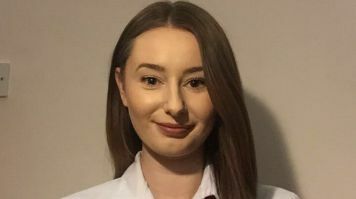 Eden’s host trust for her training has been Guys and St Thomas’, so she has been able to complete all her training at Evelina London Children’s Hospital – something she feels has given her career a great start. “I’m very proud to be completing my training there, and I hope to work there once I graduate too,” she says. Eden’s plans for the future focus on staying at Evelina for a two-year rotation on two wards and a specialist ward. After that, she intends to move a little closer to home, possibly to Bristol Children’s Hospital. Wherever her career takes her, Eden feels well-prepared for the challenges she might face. “Studying at LSBU will help me with my future plans as it is widely recognised that training in London gives you opportunities at the best and most respected hospitals and learning environments,” she says. LSBU has links to prestigious children’s hospitals too, and gives you all the opportunities you need to gain experience that looks great on your CV and really helps your development as a professional.